I hope everyone here in the U.S. is having a fun and safe 4th of July weekend! Unfortunately, our weekend plans changed on Saturday morning when my husband had to take a last-minute trip to see his dad, who is very ill. I'm still having some family over this afternoon but I don't think we'll be doing anything big or going to see any fireworks this year. I am doing something big for the 4th of July here on My Book Retreat, though. I'm participating in the Freedom Giveaway Hop and giving away a book of the winner's choice (up to $15) written by a U.S. author. The giveaway ends on Thursday night so be sure to sign up today if you haven't already. I have to say I've never gotten this many responses to a giveaway before. It's quite amazing. But you could still be the winner! In addition to the giveaway, I had a very busy week here. First, I reviewed a fun mystery called Dead Barchetta by Kathryn Lively. Then I put up a review of Island Girl by Lynda Simmons, a family drama about a woman who has early onset Alzheimer's and her two daughters who have their own issues. You can read the reviews by clicking on the titles. I recommend both books. I also reviewed two children's books in my What My Children Are Reading post this weekend. The first is a picture book called Bye Boon by Steph Smith. The other is Frankie Pickle and the Mathematical Menace by Eric Wight. 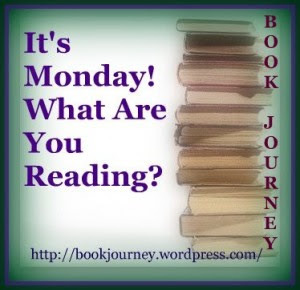 And I read Counting from Zero by Alan B. Johnston, which I will review this week. Finally, I'm officially declaring my participation in NetGalley Month hosted by Red House Books. I did this back in April and it was a great motivation to read all the NetGalley books I had. So I'm doing it again this time. I'm now reading Flesh and Bones by Paul Levine for a book tour, so the review will be up on July 12th. Next, I'm going to read Two Kisses for Maddy: A Memoir of Loss & Love by Matt Logelin or Simply Genius! by Ervin Laszlo, both of which are NetGalley books, or Predators of Darkness: Aftermath by Leonard Hilley, which I received from the author but have been wanting to get to soon. Not sure which I'll choose next. I also need to write my June Month in Review post, which I haven't gotten to yet. Sounds like a great week of reading. Have a great day! Hi Julie! Stopped by to say hello! I just finished The Book Thief by Marcus Zusak last night. Highly recommend it. It was outstanding. I couldn't sleep after I'd finished it. Looks like you've got a lot of books on your plate! Looking forward to your reviews. I am adding the memoir you are reading to my list. Have a lovely week and happy reading.